You know those “secure” websites, like banks and eBay, where there is a little padlock in the address bar next to the URL? Well, apparently, in 2011 somebody sneezed when they were writing the security code that most of the banks and other “secure” websites use – and a bug landed in the code. On Monday, someone in Finland and someone else at Google spotted that there was something wrong. They found the bug and realised that it is very. very easy for anyone to get your username, password and loads of other stuff when you log in to one of these “secure” sites. Not just that, but anyone can easily get these “secure” sites to tell them the user names and passwords of people who have logged in at some time in the past. When I say “anyone” I mean, of course, that nerd next door and anyone else who understands the techie jokes in “Big Bang Theory”. What is happening now is that all the nerds and “Big Bang Theory” fans are just playing around, testing different “secure” sites and seeing how much info they can download. Just for a larf. I’ve seen them at it on Nerd Forums! Luckily, most nerds are not nasty but there will be other people out there who are not doing this for a larf. to impersonate you, eg. to log in to your bank account or email account (if you have a Yahoo! email account you DO need to change your password now). to impersonate a website, eg. to pretend to be that bank or online shopping site that you love and trust. What you DON’T want to do is go scurrying about changing all your passwords without checking first if the sites you use have updated their code. What you DO want do is check which passwords to update now and which ones to do later, when the affected secure sites have wiped their noses and got clean hankies in their pockets. Use the LastPass Security Check – this is being updated to accommodate people who do not already store their usernames and passwords with LastPass. After you run the security check, some sites might have “Wait” next to them. If so, you need to go back and keep checking using this tool until it says “Go update!”. Once a day should be quite often enough. 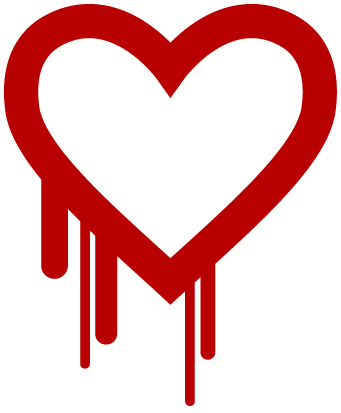 That was the first site on the internet offering site security checks for Heartbleed. There are more and more just like it popping up all over the place. Be wary and only use a security checking site if you are sure it is legit. You do NOT need to pay for a Heartbleed Security Check – some sites are cashing in by charging for security checks but there are plenty of free ones around. Here’s a super forum to hang out in with like-minded people. 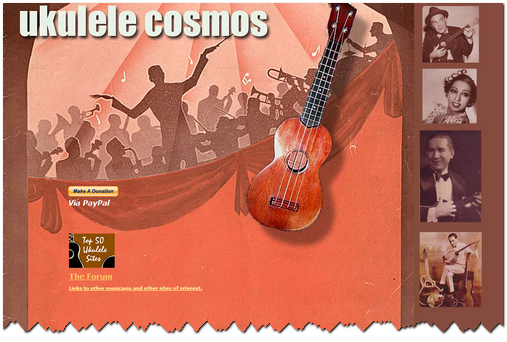 Ukulele Cosmos is a well-known forum with leaning to the UK but all nationalities are welcome. There’s also a good selection of interesting links to other ukulele related internet resources. Good site with lots of friendly people. Useful and friendly bulletin board run by UK ukist Alli Bee though it is popular with international contributors. It has many useful sections including recordings, technical, theory, luthier, banjo-ukes as well as general uke talk and even a section for just sounding off on any topic. I have updated the previous post to make the advice about “internet security”, “safe browsing” and avoiding getting ambushed by malware more general. Ukulele Cosmos Back in Business! The general “internet safety” advice below still holds good, wherever you roam in cyberspace . . .
Alli B, who runs the Ukulele Cosmos forum, worked hard and got the hack-attack problem on the forum in 2012 sorted out very quickly. Every one of us can take a few simple steps to protect our computers and personal information from hackers, wherever they lurk. I am not a computer security expert. These are my personal suggestions for the order in which to investigate and take action to protect your computer and your personal information. Firefox is recognised as one of the safest, if not the safest, browsers. You can make it even safer by installing specific “add-ons” aka “extensions”. If you do not like Firefox, have a look at Seamonkey: many Firefox add-ons work with Seamonkey. Other safer alternatives to Internet Explorer are Google Chrome and Safari. Firefox, Seamonkey, Google Chrome and Safari. All have Google Safe Browsing embedded already. This is a collection of “basic security” Firefox Add-ons that I have put together. Some of them help to make browsing the internet even safer. Some of them improve Firefox functionality and performance. Not all of them will work with Seamonkey – I will compile a similar collection for Seamonkey. Note: One of the best ways to protect your self from being ambushed by malware downloads is to use the NoScript add-on. This is available for Firefox and Seamonkey. There are similar-sounding add-ons for other browsers but they will not protect you as comprehensively as NoScript. However, Mac computers can get Windows viruses and Mac users might inadvertently pass them on to Windows users, eg. via emails. Mac computers have been targetted by Trojan malware. If you want to know the difference between viruses and trojans, read the other articles in this set of links. Sophos provides a free anti-virus app for Macs. There are others around that are as good or perhaps even better. Sophos is one that is generally highly recommended. If you don’t like it, try one of the others – do a search for “best free Mac anti-virus”. Info from Google about online safety and malware. More info from Google about signs of malware. 07) How can I tell if my computer has a virus? Info from Microsoft about malware. 08) How do I remove a computer virus? Info from Microsoft about malware removal. More info about a common type of malware. More info about malware – very good guidance. Info about the malware that hackers injected into the Ukulele Cosmos forum. More info about the malware that hackers injected into the Ukulele Cosmos forum. A site infected with malware will usually show up with a warning next to its name in Google Search Results. Some browsers (see below) will automatically redirect you to a very obvious “warning” page if Google has detected malware on the site. As I said above, I am not a computer security expert. If you have better suggestions than I have made above, please post them as comments below. The Ukulele Cosmos Forum is a great, friendly place to visit. All best wishes to Alli and may the hackers rot in hell!